(CNS): Information revealed by the Public Service Pension Board shows that the premier is doubling-dipping by taking his pension entitlement on top of his monthly salary as the country’s leader. McKeeva Bush has served more than 20 years as an elected official and is entitled to a pension based on two thirds of his pay at the time he opted to draw down on that pension. Bush began taking his in January 2010 when he turned 55 but before his self imposed 10% reduction in his own premier’s pay packet. At the time he was earning over $14,800pcm meaning that Bush could be receiving almost $10,000 in pension payments as well as his regular pay cheque. 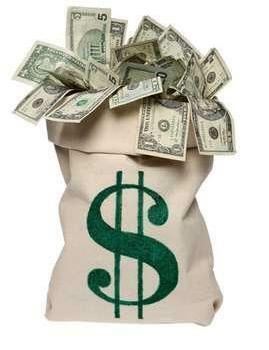 However, the premier could have opted to take a lump sum as he is entitled to do under the terms of the MLAs’ pension. According to the formula and rules that govern politicians’ pension entitlements,, those who have a fully vested pension can opt to take an up-front lump sum of up to 20% of the monthly entitlement multiplied by 20 years when they begin taking their pensions. In other words, the premier could have reduced his monthly payments by 20% in exchange for a cash sum of around a half million dollars. The document released by the PSPB following an FOI request made by CNS last year did not reveal if the premier had taken the lump sum, reducing his monthly payments to under $8,000, but just the date he began drawing down and the years he has served in the country’s parliament. All former and serving MLAs can take their pensions when they reach the age of 55 provided they have completed one full term in office. The longer the member has served, the more money they can receive — up to a full amount of two thirds of their salaries at the time of opting to take the pension. A member who has completed one term can take one fifth of the two thirds, two terms two fifths and so on up to a member who has served twenty years, as is the case with the premier, who can then access a fully vested pension. The request, which asked the PSPB to list the current and former MLAs who were drawing on their pensions and how long they had served in the Legislative Assembly, also shows that Kurt Tibbetts and Anthony Eden, as already publicly acknowledged, are also double-dipping on their pension entitlements, despite not being fully vested. However, Captain Eugene Ebanks, who passed his 55th birthday and is also entitled to draw on his pension, has not yet opted to do so. Nor has Ezzard Miller, the independent MLA for North Side, who was the first MLA to raise the question on the floor of the Legislative Assembly. Miller said he thought it was “immoral” for serving members to draw a pay check and a pension and termed it “double dipping”, before announcing he intended to bring a motion to stop members from doing it in future. Tibbetts and Eden, who were both elected to the Legislative Assembly in 1992, began taking their pensions in 2009 after serving four terms and are therefore entitled to four fifths of the two third rate of their respective salaries at the time. This means that Tibbetts will be receiving around $7,600 per month and his PPM colleague Eden about $6,900 on top of their current MLA salaries of approximately $9,000pcm. The details of the pension payments to politicians past and present was finally released on Wednesday afternoon at around 4pm, five weeks after the information commissioner had ruled that the information was not exempt, as the board had claimed. Despite not applying for judicial review following the commissioner’s decision, the PSPB held onto the information, as reported by CNS on Tuesday. However, the story appears to have prompted the board to finally release the list, which is posted below. Police uniformed and armed officers attended the scene in the immediate wake of the report and secured the area. The RCIPS helicopter was deployed to assist in the search for the suspects. Both suspects were described as dark-skinned males; both were wearing dark-coloured clothing, long pants and long sleeved shirts. One of the suspects was wearing a black knitted mask while the other was wearing a white-t-shirt over his face. One of the suspects is described at 5’11 to 6 feet tall and slim-built, and the other is approximately 5’5 and medium built. It is also understood that the robbers held a firearm to a security officer’s head as they made their way inside the bank. 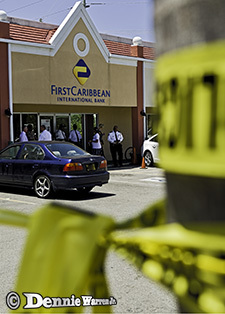 Managing Director Retail, Wealth and Small Business for FirstCaribbean, Tom Crawford confirmed that no members of staff were physically injured during the robbery. However, counselling services were called to the branch to assist members of staff who were shaken by the ordeal. "Naturally, our first consideration is for the safety of our staff and we are thankful that they are all safe and unharmed. We have called in professional counsellors to assist these staff members and we are doing all we can to assist the police with their investigations,” he said, adding his apologies for the need to close the branch on Thursday. This is the fourth bank to be hit in the last year, and so far none of the bank heists have been solved. suspects fleeing the scene. Anyone with information call the confidential Crime Stoppers number 800-8477 (TIPS). (CNS): The Cayman Islands Monetary Authority (CIMA) has issued new bank notes, which will be hitting the streets next month carrying the signature of the country’s premier in his role as minister of finance. The new D series of banknotes represents the first complete redesign of Cayman Islands banknotes since local currency was introduced in 1972. Besides looking different, the new notes incorporate features to significantly increase protection against counterfeiting and to make the notes more durable. 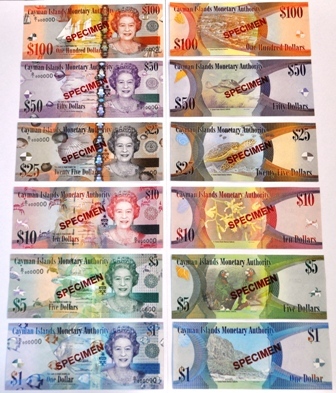 All six denominations – the $1, $5, $10, $25, $50, and $100 banknotes – have been redesigned, carrying new images, patterns and, in the case of the fifty dollar bill, a new colour – purple. In keeping with the change brought about by the 2009 Constitution, the signature of Minister of Finance McKeeva Bush now appears on each note, rather than that of the financial secretary, as was the case with the C series of banknotes. The signature of CIMA’s managing director also appears on each note. Bush, who welcomed the new issue, described the notes as stunning. “I am pleased with the design of these new banknotes, which are a stunning reminder of our i,slands’ natural treasures. I am happy too that the new series is being issued under the auspices of the Ministry of Finance. This serves as a marker of our recently updated constitution while the Queen’s portrait acknowledges our continued British Overseas Territory status,” Bush added. The new family of notes has been in development since 2007. CIMA Chairman George McCarthy explained the need for the new cash. As with all CI currency, CIMA will issue the new D series through the local retail banks. The issuing will be done on a phased basis. During this week (28 March to 1 April) CIMA is partnering with the Chamber of Commerce on Grand Cayman and District Administration on Cayman Brac to host training sessions on the new series for banks, retailers and law enforcement. A representative of the banknote printers, De La Rue, will lead these presentations. Throughout the coming weeks, CIMA will also disseminate informational material through the news media and in public places. This includes posters showing the denominations and flyers highlighting the notes’ visible security features. The posters will be on display in post offices and other high-traffic locations and the material will be accessible on CIMA’s website. (CNS): The government is considering expanding the jury pool to include people who cannot vote. A new bill proposes to add permanent residents and Caymanian status holders (with or without naturalisation) as well as reducing the list of exempted professions and people. Members of the public are being asked to submit comments to the Attorney General’s Office for the Judicature Amendment Bill 2011, which suggests widening the list of persons eligible to serve as jurors in the Cayman Islands courts beyond the registered voters list. At this year’s official opening of the Grand Court the chief justice had drawn attention to the difficulties of finding people to serve on juries because of fear of intimidation or worse. Rather than attempting to eliminate jury trials, as law enforcement officials had suggested last year, Chief Justice Anthony Smellie suggested that expanding the pool would be a more appropriate and just solution. There are only 15,267 people on electoral list, which is just over a quarter of the current population of almost 55,000 people, as revealed by the preliminary census results earlier this month. From those who are eligible as voters, people over sixty are excluded as well as doctors and lawyers and even poor people, reducing the available pool by thousands. Currently the governor, politicians, magistrates and justices of the peace, recognised pastors and ministers of religion, people working at the courts, medical practitioners, police officers and registrars are exempted, as well as those who can’t attend by reasons of poverty. People previously convicted before any court of an offence for which they were sentenced to prison and who have not received a pardon also cannot serve. Officials are now considering removing some of the exemptions as well as including all permanent residents and increasing the current age limit from 60 to 70 years old. Lawyers too are being considered for inclusion, exempting only those attorneys who are actively engaged in litigation. The proposed bill further suggests remove the exemption for medical practitioners, registrars of land, births, marriages and death and those exempted by reason of poverty. While the suggestion to widen the pool has been welcomed in some quarters of the community as a sensible solution, in particular increasing the age limit and removing some of the professional exemptions, the suggestion of adding permanent residents to the pool has, however, raised the question of their lack of democratic rights. 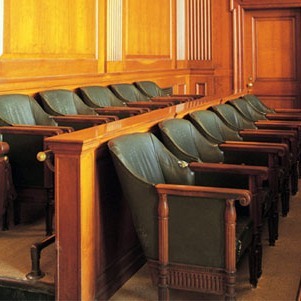 The responsibility of serving on a jury works, in most democratic jurisdictions,hand in hand with the right to vote. Anyone wishing to add their thoughts to the bill still being drafted should contact Tesia Scott in the Attorney General’s Chambers, 4th Floor, Government Administration Building or by email tesia.scott@gov.ky by Friday, 6 May. See draft amendment bill below. (CNS): Following the guilty verdict delivered to Honduran nationals Allan Kelly and Charles Webster on Wednesday morning on six counts relating to the kidnapping of Tyson Tatum, the judge handed down a ten year sentence in the afternoon to both men for the crimes. He also ordered that Wespie Mullins, the third man involved in the abduction conspiracy who had both pleaded guilty and given evidence against the other men, serve five years. The judge had rejected the defendants’ claims that they had committed the offence under duress and found that the crown had proved its case beyond reasonable doubt. The three men were part of a conspiracy to kidnap the victim for a ransom of $500,000 last March, which the judge said was masterminded by Richard Hurlstone, who absconded from the jurisdiction while on bail. The case was the first ever abduction for ransom in the Cayman Islands and when handing down the sentences to the guilty men, Justice Harrison said there was a need to be more resolute to stamp out such crime so it would not spread. "This sort of behaviour can only be met with a heavy sentence," he added, before listing the sentences for each of the six counts against Kelly and Webster and the four against Mullins, all of which he said would run concurrently. All three men had conspired to abduct, keep in confinement and assault Tyson Tatum and blackmail his mother Angelique Tatum who the men had called to make the ransom demands during the ultimately foiled kidnapping. During the trial the court heard how Tatum was lured to an address in North Side in March 2010 by Webster who was posing as a customer wanting work done on some wave-runners. When the victim arrived at the property, where Mullins was the caretaker, the three men attacked Tatum and eventually bound and gagged him before tying him to a chair. During the more than 24 hours or so that he was held by his kidnappers the men attempted to extract a ransom of $500,000 from his mother who had despite the kidnappers warnings reported the crime to the police. The three men eventually left Tyson alone in the house, and although bound and gagged and tied to a chair he still seized the opportunity to escape. All three men, as well as Hulrstone, the man believed to be the ringleader were arrested soon after the bungled kidnapping and Mullins entered an early guilty plea. Hurlstone who was given bail absconded before the trial and is now believed to be in Honduras. Kelly and Webster both pleaded not guilty to the crimes claiming that they were forced into the conspiracy by Mullins whom they said had threatened their lives and the lives of their families. The judge however, said he did not believe that Webster and Kelly had acted under duress and dismissed their claims as a result of the evidence he had heard during the trial and the fact that the defence of duress was entered by the men very late in the proceedings against them. When he sentenced the kidnappers, Justice Harrison told the court that the offences warranted a severe punishment as they had planned the crime, used force, demanded a significant sum of money and threatened to kill the victim. “The crime was committed purely out of greed,” the judge said. “The victim in this case was treated with brutality and terrified.” Justice Harrison went on to say that the trauma he experienced will take a long time to be erased and that his mother was put through the agonising, anxiety during the abduction. Giving both Kelly and Webster ten year sentences for the abduction he also handed down six years for the count of blackmail, ten years for keeping in confinement, three years for assault five for the robbery of Tatum’s jewellery and a further two years for threatening to kill their victim. The judge said the sentences would be served concurrently and the year that the men have already served on remand would be counted. Meanwhile, Mullins was given a discount for his very early plea, his full disclosure of the crime and his cooperation with the prosecution and giving evidence against his co-conspirators. He was given five years for his part in the abduction, five for the keeping in confinement, three years for the blackmail and two years for his part in the assault. Mullins was also told that the sentences would be served concurrently and that his time on remand would also count. (CNS): A member of the public has filed a complaint with the governor after he was refused access to the register which records the business interests of the members of the Legislative Assembly. Despite making an appointment on the telephone with the LA office to see the Register of Interests, which is a public document, the voter was denied his right when he arrived at the Assembly building, having travelled from East End last Friday. The man was told by LA staff on arrival that he would not be able to look at the register as it was “being updated”. Shocked by the refusal, McCarron McLaughlin was not prepared to take the dismissal lying down and contacted both the Governor’s Office and the information commissioner to formally complain. According to the law, any member of the public who makes a request to see the Register of Interests should be allowed to do so. An appointment usually has to be made because viewing of the register has to be supervised in order to prevent people from taking sheets from it or copying the contents with a camera, but once an appointment is confirmed the requester is at liberty to scrutinise the contents. Each member of the LA files a list of the businesses they own and the various directorships and shareholdings they have in commercial entities, as well as the property they own over and above their normal residence. The register is designed to prevent conflicts of interests and allows the public to judge if their representatives may face conflicts of interests over their business and public service. Section 3(3) of the Register of Interest Law 1996 states, “The register shall be open for public inspection at the office of the [LA] at all times during normal business hours.” Even if the staff were updating the register it should not have interfered with McLaughlin’s right to see it. The register itself is merely a ring-binder with sheets containing the details that each of the members have disclosed prior to each election and, as is required during their period of office, when their business circumstances, property ownership, share-holdings or directorships change. The updating of the register should not involve any removal of previous information about a member. As a result, there appears to be no reason why any member of the public who has a confirmed appointment to see the register should be refused access. The Commission for Standards in Public Life revealed the difficulties it had also encountered in its efforts to see the register in particular entries. In its first report the CSPL pointed out that it was unable to verify if there were any perceived conflicts of interest or anomalies in relation to any of the declarations made by members in the past or present, as mandated by the register of interests law (ROIL), or if the register was compliant with the law. The news of the denial comes in the wake of revelations by the independent member for North Side that the legislative committee which is supposed to oversee the register, chaired by Ellio Solomon, has never met since its formation almost two years ago. Despite being obliged under the law to have produced at the very least one report, the committee members have never come together to discuss a report, never mind write one, making the committee in breach of the ROIL. This latest refusal by the LA to allow McLaughlin to see the register fuels speculation, headded, that government is, despite claims, frustrating the mechanisms which allow for openness and transparency in government. McLaughlin submitted his complaint on Friday but has not yet heard from the Governor’s Office; however, the ICO has contacted him and has already begun investigating the refusal. CNS Contacted the LA to ask why McLaughlin was refused but no one from the Assembly has responded to our enquiries. (CNS): In the wake of the largest award following a civil trial in the history of the Cayman Islands, the insurance company holding the $7 million tab says it may be appealing the judgment but if it has to pay it will not impact the firm’s ability to do business. 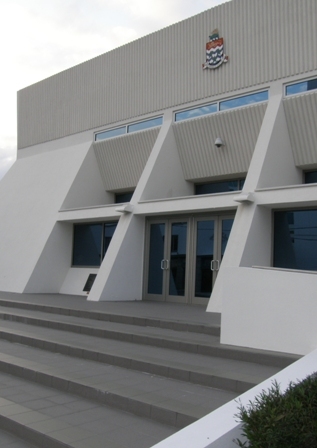 Hurlstone Ltd and others were awarded the whopping sum following a lengthy legal battle in which the contractors had counter-sued Sagicor General Insurance, now Cayman First, for abuse of process and malicious prosecution, and won. The case was related to the reconstruction of Windsor Village after Hurricane Ivan in 2004. The insurance firm had originally filed suit against the contractors, accusing them of fraud and conspiracy over the cost of the work, but withdrew the suit before the trial at the end of 2008. Cayman First Insurance (CFI), which is now left holding the bill for the historic award handed down by Justice Alex Henderson of $6,938,064 plus interest and some $85,000for reputation, said that the company is considering an appeal so it could not go into detail about the judgment. However, it was quick to try and reassure customers that the parent company of CFI has taken action to ensure that the firm’s capital base is maintained at a level to meet the requirements mandated by CIMA. “CFI has determined that, based on existing information, the company’s capital and ability to operate will not be impaired by the developments associated with the Judgment,” the firm said in a statement in the wake of the award. It also said steps had been taken to ensure that policyholder and other stakeholder interests were adequately protected. CFI is now under the controlling interest of an entirely new organisation but it said the directors were committed to meeting any legal obligations related to the legal proceedings, once finalised, despite the fact that the matters pre-date the involvement of the new owners. With an AM Best rating of A-(Excellent), along with significant enhancements to the company’s reinsurance program, the company said it was a strong and viable entity. 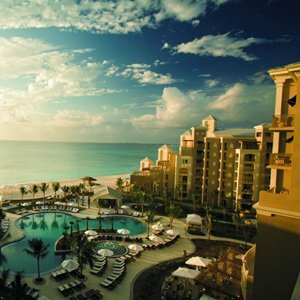 Speaking to the press in the Bahamas this week, Ian Fair, chairman of Bahamas First, said the group would suffer "absolutely zero" financial impact by the award as the case had come up as a potential liability during due diligence before last year’s sale. He explained that the potential financial ramifications were "ring fenced" and excluded from the transaction. The award against the firm follows from the Hurlstone family and others counter-suing Sagicor General Insurance (Cayman) for abuse of process and malicious prosecution, and after the insurance firm’s original suit was abandoned the insurer’s allegations could not be sustained. The Hurlstone plaintiffs said their characters and business affairs had suffered greatly as a result of the allegations made by the insurance firm in 2006. They also suffered as a result of having their assets frozen during the process of the insurance firm’s suit, which the attorneys said was extremely detrimental to their clients. Henderson described the unproven allegations as of a serious nature: that the work undertaken by Hurlstone had been inflated and the contractors had conspired to commit fraud against the insurance firm. The judge said that Sagicor never possessed a body of evidence capable of proving it was defrauded or was the victim of a conspiracy. The allegations against Hurlstone and the others were based on a report produced by Alan Purbrick of Capital Consulting, which turned out to be wrong. 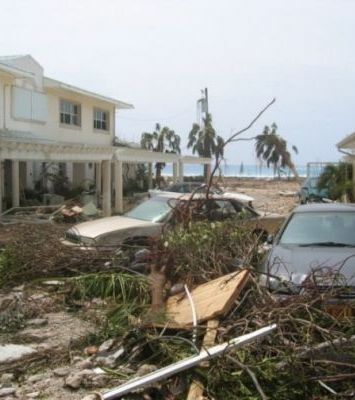 When Hurricane Ivan ripped through Grand Cayman in September 2004, Cayman General was a wholly owned subsidiary of Cayman National Corporation. Following the problems the insurance firm faced with the significant claims after the storm, the government accepted a 24% share of the company as part of its settlement for damages sustained in the hurricane to public property. Cayman General then sold its shares to Sagicor, who in turn sold all of its shares to the Bahamas First Group, which has since renamed the firm as Cayman First Insurance. Clinton was in the Cayman Islands on Sunday and Monday to appear as the guest speaker at special dinner on Monday evening organised by a company called Whisky Productions, which cost $1500 a ticket, well out the price range of most locals. The details of which charitable organisation or indeed which profitable organisation was on the receiving end of the funds raised by Clinton’s after dinner presentation at the Ritz remained a mystery as a result of a media blackout of the event. Clinton was believed to be speaking on the topic of humanity, as per his dinner presentation in Jamaica last October. The organisers were reluctant, however, to reveal the ‘hows and whys’ of the event, including the beneficiaries of the former president’s efforts or what he was paid for the speech at the $1500 per head event and how much will be raised and for whom. With the local RCIPS also covering security for Clinton’s short stay on the island, the cost of the support from the local law enforcement to the public purse has not yet been revealed. 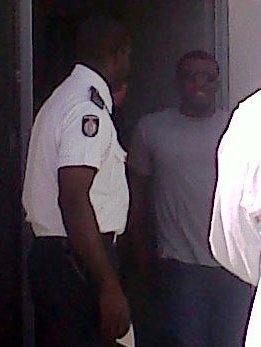 Clinton arrived in Cayman under the cover of darkness in the early hours of Sunday morning at Owen Roberts International. After the private jet which brought him and his entourage touched down in Cayman, the RCIPS Uniform Support Group accompanied the secret service in a motorcade to the Ritz Carlton, where Clinton was staying. His presence stirred considerable attention during his short stay, with locals as well as visitors trying to catch a glimpse of Clinton before he departed on his private jet just after 9pm on Monday evening. (CNS): The developer of the Ritz Carlton-Grand Cayman still owes the public purse some $6 million in connection with duty concessions for the construction of the five-star hotel on Seven Mile Beach. Despite revelations last year by the premier that Michael Ryan would be re-starting payments to government with interest, officials have confirmed that no payments have yet been made. A re-payment proposal has reportedly been submitted to the finance ministry for consideration but it is now two years since any money was paid on the debt. So far over $3.8 million of the original $10 million has been paid but since payment stopped government coffers are now down over $2.7 million. It is now six months since the premier told the country’s parliament about the outstanding duty and the developer’s plans to restart payments, but the last payment received by the treasury was still the one made back in March 2009. During the time the developer was meeting his obligations to make the quarterly payments under the previous government he paid a total of $3,825,996. When the current UDP administration was elected to office in May 2009, however, the payments stopped, with $6 milllion still outstanding from the original deferment. McKeeva Bush revealed to his legislative colleagues in September 2010 that the owner of Stingray and Condo Co (the companies set up to develop thehotel which had received the deferment) had asked for the payment plan to be extended as a result of the difficult economic circumstances. Answering a parliamentary question submitted by the opposition, Bush said the developer had agreed to pay interest on a new payment plan and had not requested any write-off of the amount. The premier said he did not believe the extension posed any risk that government would not receive all the money owed. He said at the time that a rate of interest had not yet been worked out or the issue discussed in Cabinet. It is understood that since the revelations in parliament the developer has submitted a proposal but government has not yet made a decision about the payment plan. CNS contacted the developer regarding the outstanding payments but a spokesperson stated that the developer could not comment as the discussions were still ongoing. Since government announced that the payments had stopped, Orion development (another of Ryan’s companies which is developing Dragon Bay, a proposed new resort behind the Ritz-Carlton) has made a number of redundancies. In December more than a dozen people from the Dragon Bay office, construction and sales teams were let go, which the developer said was a result of a review of the business. A spokesperson said at the time, however, that the Dragon Bay development was still going ahead. It was stated that the Dragon Bay development was always planned as a long term project. “We made the decision to realign and refocus our business to improve and strengthen our core capacity to move the Dragon Bay project forward,” the spokesperson stated. Some employees who were let go claimed not to have been paid all they were due and to have been poorly treated when they were suddenly let go. CNS asked the developer about these complaints but the office said it did not comment on individual HR issues. “It was with deep regret that we had to release some of our valued employees. As per company policy we do not comment on the terms of individual employees’ engagement or termination,” a spokesperson said. The staff also claimed that there had been no sales at the resort for more than 18 months at the time of the redundancies. However, the developer’s office denied those claims. “As a result of their exceptional location, quality and services our Residences continue to be in demand and we have seen increased activity in recent months with a number or transactions occurring and the most recent closing last week,” the developer’s office revealed last month. Callan had driven at more than 80mph during the high speed chase with no lights, weaving in and out of traffic, and driving on the wrong side of the road before finally losing control of the car, which was split in two as a result of the impact, the court heard as the judge outlined the facts of the case. The police pursuit had began after officers spotted the car that Callan was driving around midnight, parked off King Road outside a closed shop with no lights, no front license plate and at least two men visible inside the vehicle. The police officers approached the car but as they did it took off at speed. The pursuit then ensued, with officers putting on sirens and blue lights and alerting the 911 centre. The chase moved on to the West Bay Road, where Callan reportedly drove consistently well over 60mph at times reaching80mph on the 40mph limit road, as the police sped after the driver. As it approached the Ritz-Carlton the car narrowly avoided colliding with another vehicle in the turning lane, but as Callan swerved he lost control of the car, hit a concrete post, then the wall and finally a light pole before the car came to rest almost in two pieces on a vacant lot. According to police radar equipment it had been travelling at around 67mph just before impact. Callan, who also sustained serious injuries in the smash, tested negative for alcohol, but tested positive for ganja. Police could not say if Callan had used the drug prior to the crash but a small quantity was found in what was left of the car. Officers also discovered in the aftermath that Callan had a US driver’s license but no permit to drive in the Cayman Islands, his insurance coverage for the car had expired, the license coupon had expired, there was no certificate of road worthiness for the car and the plates were stolen. The judge said the incident fell into the most serious category in relation to the offence of dangerous driving with multiple deaths and aggravating circumstances. He said Callan’s conduct was culpable in the deaths because of his dangerous driving, as he handed down the four year sentences on each count to be served concurrently and a seven year driving ban to begin once Callan was released from jail. Reflecting on the impact statements from the mothers of the men killed, he said it was "deeply tragic” for the nearest and dearest and no matter how long the sentence the bereaved would not think it long enough as no sentence could reverse what had occurred. “Human life cannot be restored with a prison sentence,” Justice Harrison added.